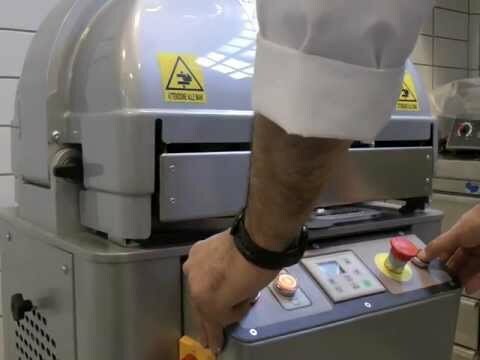 Machine suitable to divide dough used in bakeries, pastry workshops and pizzerias. Steel stove painted structure. Stainless steel AISI 304 knives. Processed food aluminum casting dividing disc. Safety guard placed in the plate insertion area. Knives cleaning push-button. Equipped with three PETG food material plates. 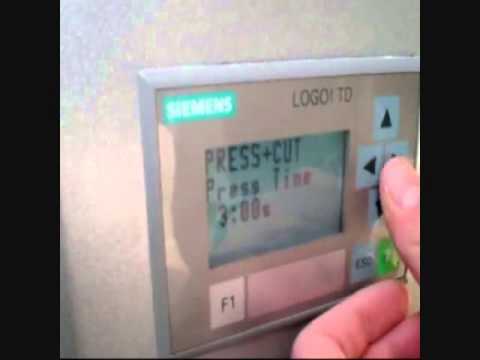 SIEMENS PLC and display for the electronic pressing time and rounding adjustment. Weight manual adjustment. On castors. With stopping feet and key for their adjustment. Machine with same technical features of DSS model, but with the possibility, with model 1020 to work at 10 or 20 divisions and at 15 or 30 divisions in model 1530. The divisions number choice happens by a manual selector.